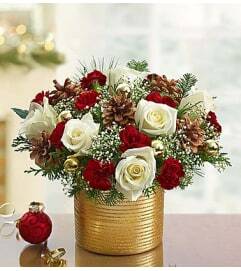 Deck the holiday table with our truly original centerpiece! 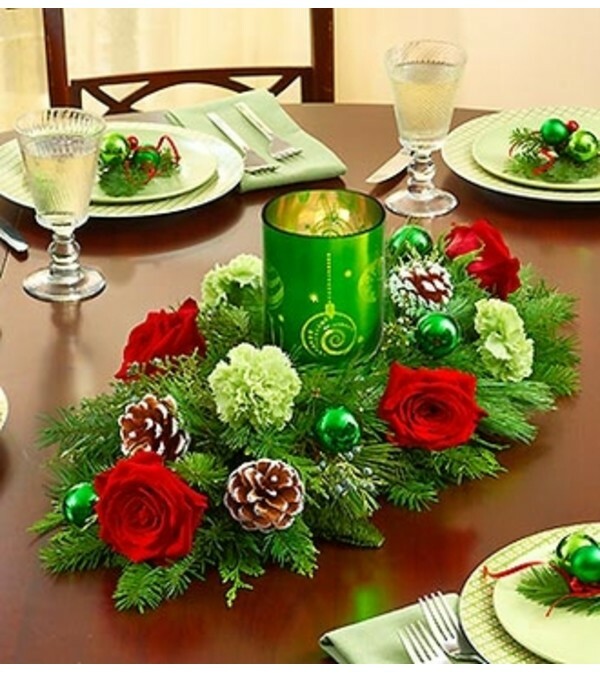 A shimmering green votive hurricane arrives surrounded by a handcrafted arrangement of red roses, green carnations, hypericum, evergreens and green ornaments, expertly designed by our select florists. 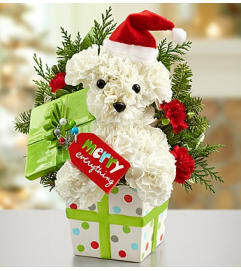 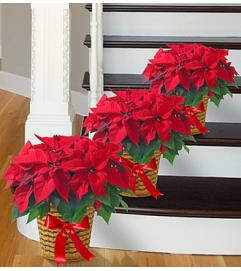 Perfect for hostesses, friends and family or for decorating your own holiday gathering.